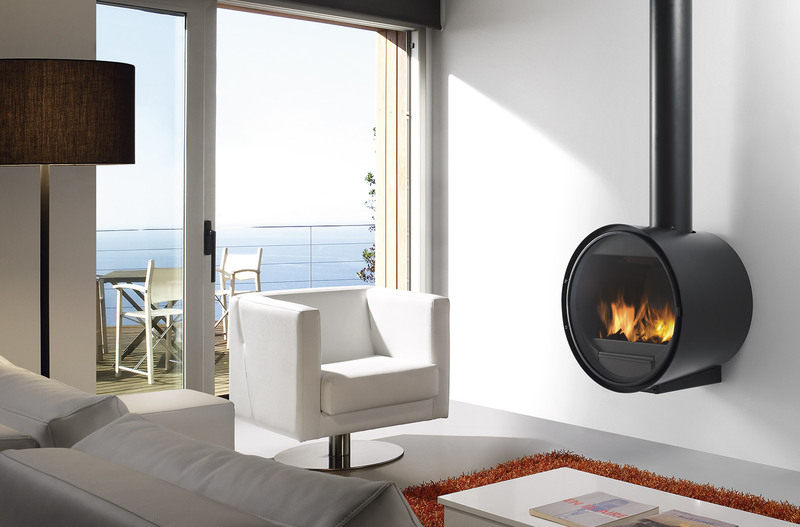 This oval-shaped fireplace offers performance that borders on excellence. 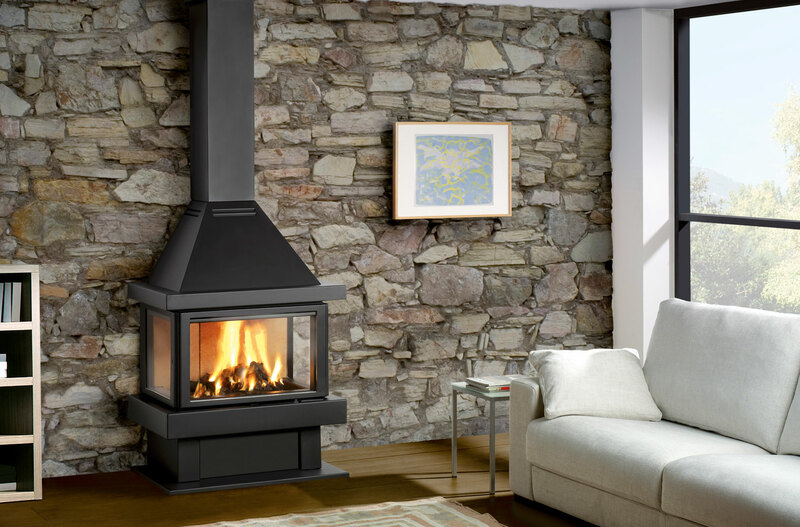 In addition, its small size makes the Oval fireplace easy to adapt in any space of the house. 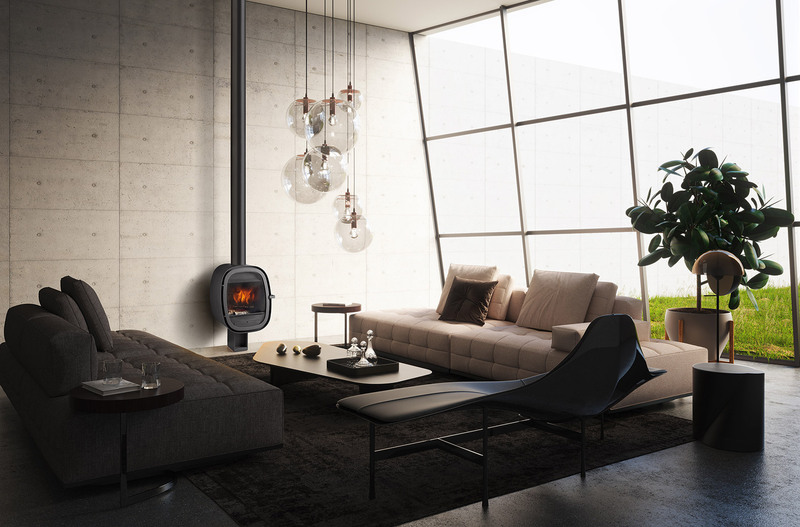 Born is a triangle-shaped, central freestanding stove. 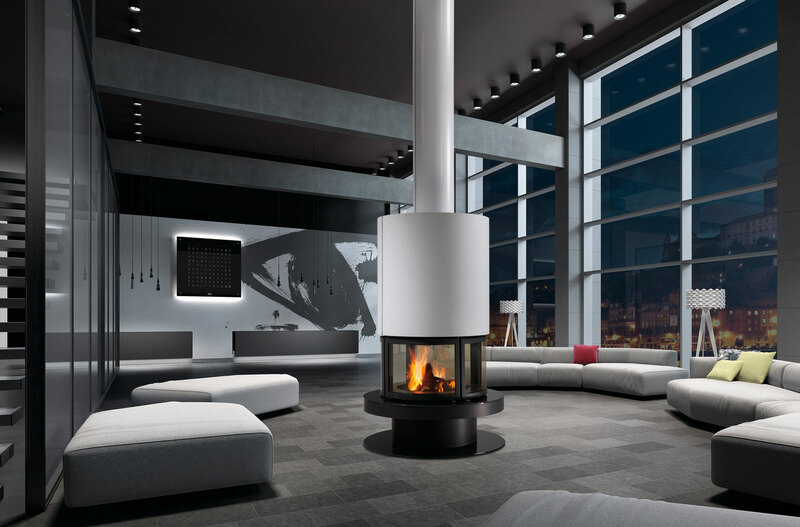 Its three sides, each offering a great view of the fire, make it incredibly transparent with modern, up-to-date, simple lines. This model stands out for its versatility: it can be installed in a corner or frontal. It also offers a very good efficiency results. Architectural, refined and compact, it fits in anywhere. 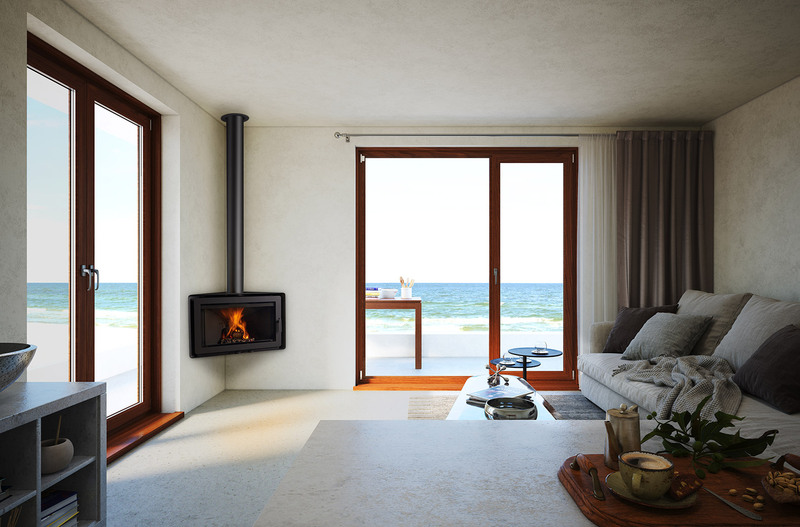 Its double front door offers a clear view of the fire. 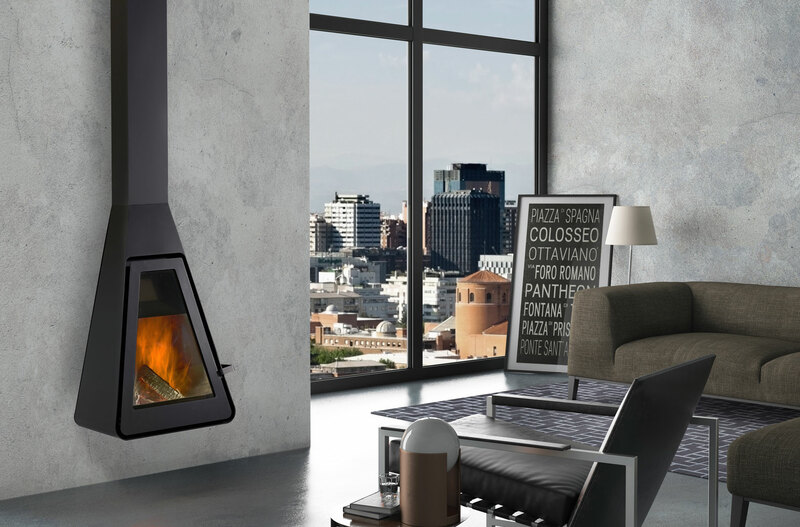 A freestanding stove for urban homes that is ready to stand out in a modern context. Discover its straight lines and how it leaves the fi re completely visible. Offers extra fi rewood capacity with no loss of combustion quality. Drop is pure emotion. Its vertical line and rounded forms seek to adapt to and, at the same time, become the focal point of your home; with no aim to provoke indifference or to blend in. This model offers a fi re vision from the front and the sides. Screen-printed glass. 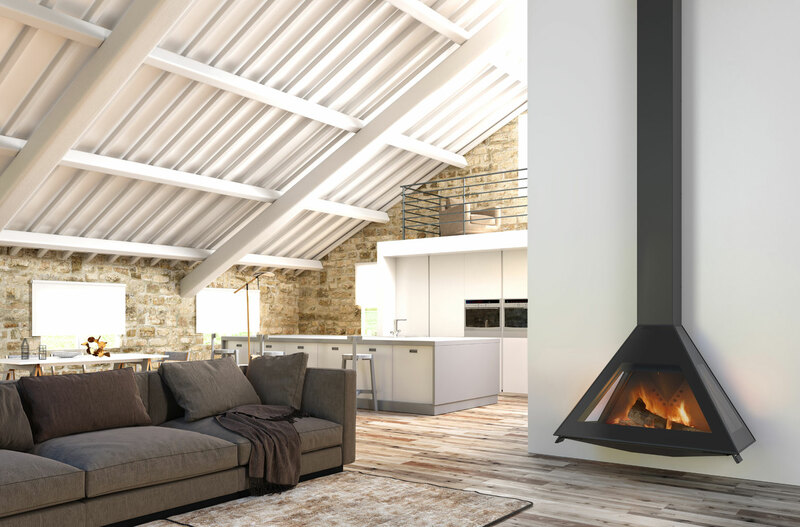 This stove can be suspended or in a foot and will oustand in any atmosphere. 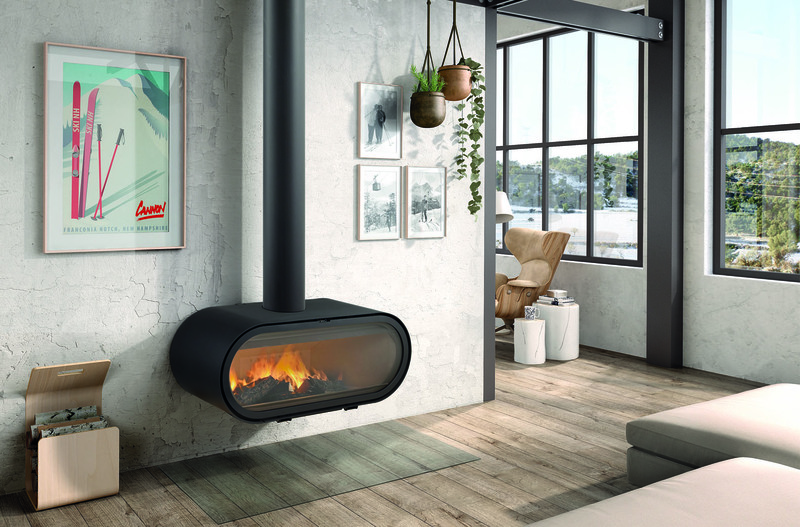 D-7 is one of our most popular modern freestanding stoves: it fits in any contemporary-style home and is outstandingly versatile. 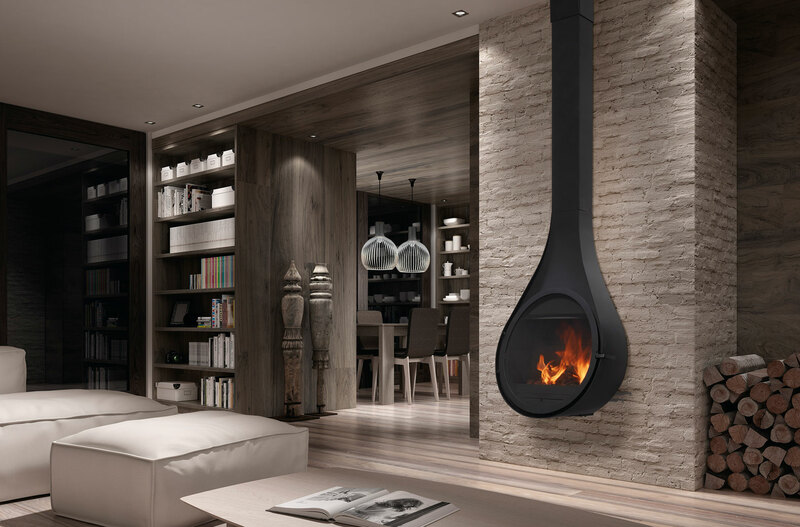 Its unusual shape makes it ideal to add an original touch to the modern living room. Flattened, with rounded sides, it holds more firewood. 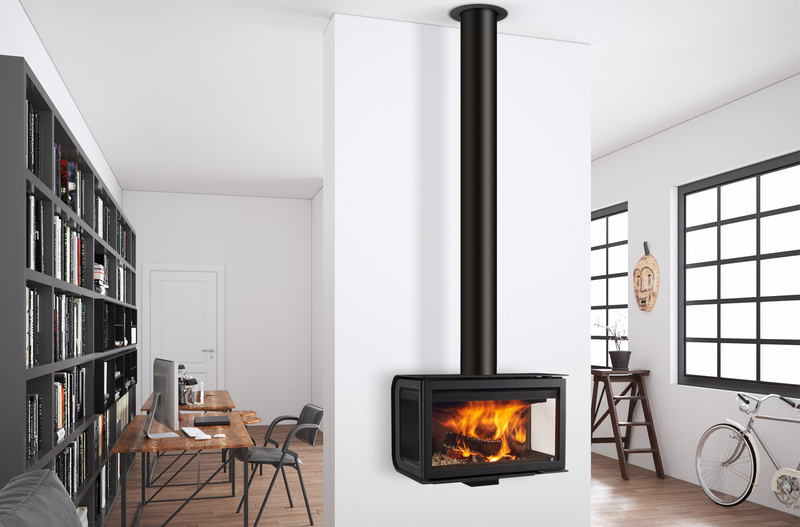 For design lovers, the D-9 has an original, elegant shape that suits stylish apartments and rooms. 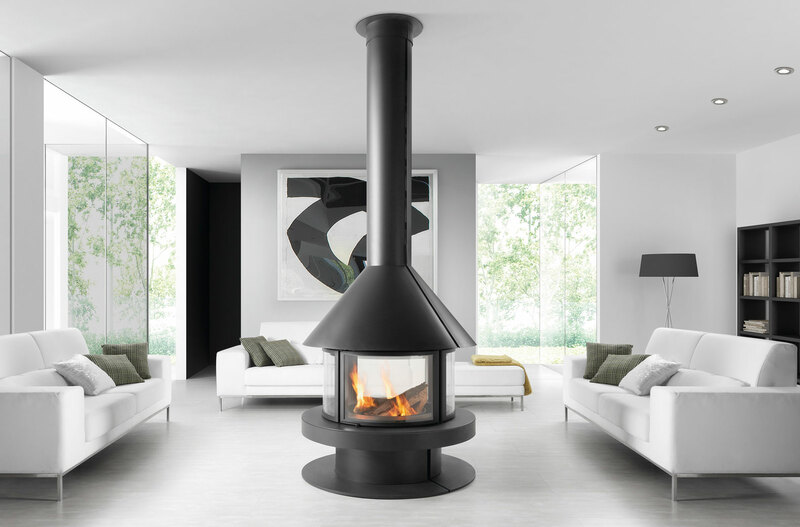 An elegant frontal rounded freestanding stove that suits any room. Its classic style fi ts speciallly traditional spaces. Two doors opening from the center. 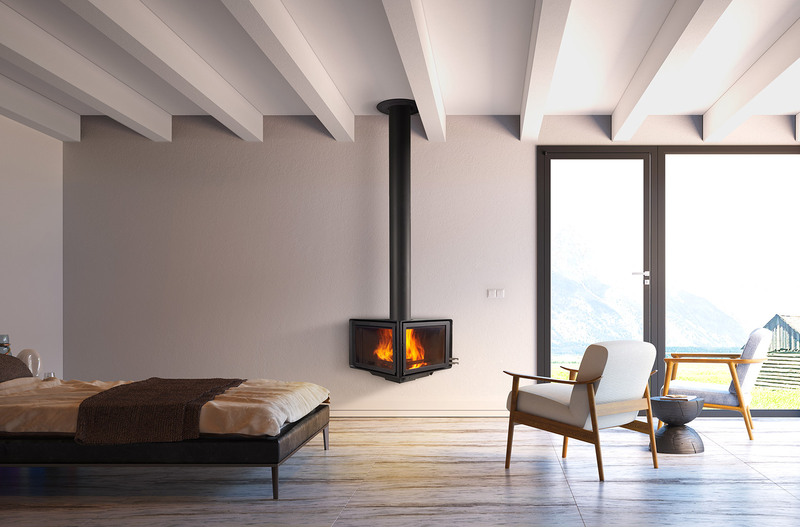 Our straight-sided corner unit, the Estela, is fire brick-lined and has primary and secondary registers. 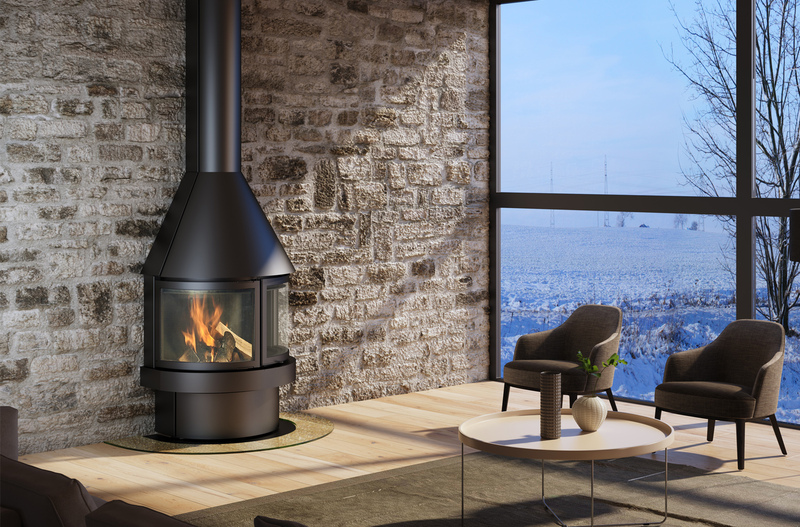 A central freestanding stove for those who love a real fi re and good conversation, Giselle is a great reason to gather around the fire. 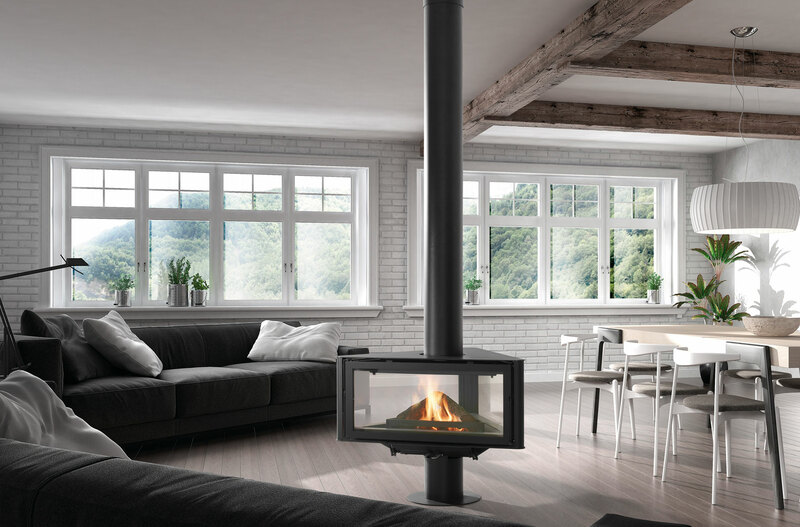 This impressive central freestanding stove is synonymous with elegance and distinction. 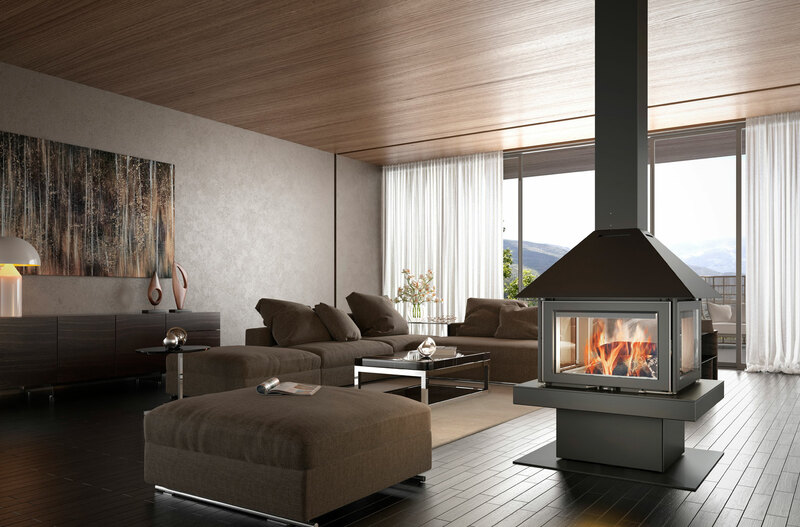 The focal point of any living room, it also achieves great energy efficiency. 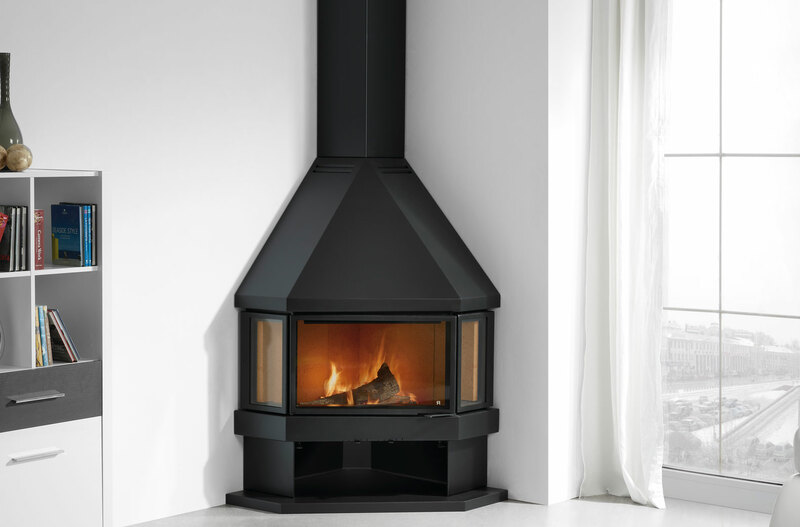 Impressive and efficient as Gala, this central freestanding stove opts for a daring hood which does not go unnoticed.